The LOG is a heavy training bat used for both overload strength training and warmups. 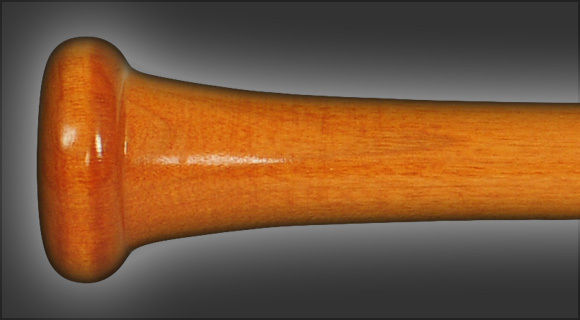 This bat has an oversized 2 7/8" barrel and can be made in weights of up to +8. The LOG is best used for hitting drills such as short toss, tee work and some live batting practice depending on the weight. The bats are fine but the company could not get my order correct on the custom bats I ordered. When I asked Xbats to fix the order that I was needing them bad and I paid overnight shipping on all 5 bats separate and they shipped them to me in 1 box but charged me over $150 shipping. They responded to me by saying to put them in regular mail and they would have them back in a few weeks. That is a freaking joke. I say this be careful . The bats are good but the customer service is as bad as it gets and they charge you for shipping that you don't need. Im very very unhappy and I will make it a point to tell $1,000 people. I will not buy from them again. 179 1 The bats are fine but the company could not get my order correct on the custom bats I ordered. When I asked Xbats to fix the order that I was needing them bad and I paid overnight shipping on all 5 bats separate and they shipped them to me in 1 box but charged me over $150 shipping. They responded to me by saying to put them in regular mail and they would have them back in a few weeks. That is a freaking joke. I say this be careful . The bats are good but the customer service is as bad as it gets and they charge you for shipping that you don't need. Im very very unhappy and I will make it a point to tell $1,000 people. I will not buy from them again. 178 1 The bats are fine but the company could not get my order correct on the custom bats I ordered. When I asked Xbats to fix the order that I was needing them bad and I paid overnight shipping on all 5 bats separate and they shipped them to me in 1 box but charged me over $150 shipping. They responded to me by saying to put them in regular mail and they would have them back in a few weeks. That is a freaking joke. I say this be careful . The bats are good but the customer service is as bad as it gets and they charge you for shipping that you don't need. Im very very unhappy and I will make it a point to tell $1,000 people. I will not buy from them again. Looks great. Can't wait to start hitting with it! 145 1 Looks great. Can't wait to start hitting with it!